My last post made a lot of people nervous. The title was intentionally provocative and hyperbolic. When Jesus said, “If your right hand offends you, cut it off and throw it away. It is better to enter life with one hand than be thrown headlong into hell with two good hands” (my paraphrase), he was not advocating self-mutilation. Some poor souls, however, appear to lack any nuance and can’t get beyond the literal reading. My statement was like that. It was provocative but not meant to be taken literally. I do think university libraries in the future will change and must change. Digital technologies are here to stay and need to be incorporated into the mix. Cost and space are key factors here. E-books generally cost less than their print versions. 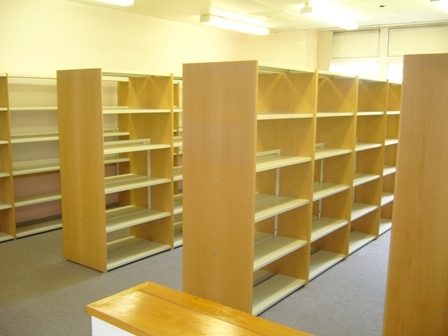 You can hold thousands of books in a rather limited space. With print-on-demand and small start up publishers the number of books produced each year is mind-boggling though most of those don’t deserve a place on any university library shelf or hard-drive. For certain kinds of research, depending on the discipline, ebooks and digital formats work well. Case in point. 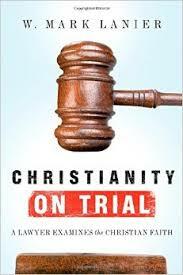 I recently finished writing a book for Thomas Nelson entitled “Slow to Judge.” It will be released in July 2015. When I received back my draft from the copy-editor, he/she had asked about several footnotes. I had included the author and title but not the page numbers. In several cases I didn’t own the books; they were from interlibrary loan. So what did I do? It was simple. I went to Google Books on the Internet, found the title, then typed into the search-line part of the sentence I was looking for. Within seconds I was back to the quote and could see the page number. In one case I realized I had not quoted accurately, so I made the appropriate changes and updated the footnote. Each correction took me only a few minutes. If I had to wait on Interlibrary loan, the changes would have taken several days not several minutes. For cleaning up loose ends digital versions and the Internet are extremely valuable. I don’t think, however, we are wise to try and do without books, journals, and other resources in print. I’m aware of a number of schools recently established which plan not to build libraries; instead they will have their students exploit available technologies. The verdict is out. Will they be successful? I’m not sure. You see there are things you can do with a book in print you cannot do with a digital version. Likewise, you can easily browse shelf after shelf looking for relevant titles you didn’t know existed. On a number of cases I’ve gone to the library looking for a particular book I need for research only to discover 3 or 4 other books significant to the question I was investigating. The brows-ability (I don’t think that’s a word. I just made it up.) of a standard library shelf is a thing of beauty and utility. Not long ago I took about 20 graduate students through an exercise on how to read a book. I gave each student a copy of a book I’d co-authored REDISCOVERING PAUL (IVP, 2007). I then showed them a number of strategies for quickly getting to the heart of a book. What is this book about? What is the big idea of this book? As part of the exercise, I showed them the value of the “back matter.” Back matter refers to the indices in the back of a book. Most people ignore them because they don’t seem particularly relevant or interesting. Not all books have them; but all good books have them, particularly the kind of books I want them using in research. As part of the exercise, I showed them how to use scripture and ancient literature, author, and topic indices. I told them: “If I have a text or a topic, then I can go to the library shelves pull down 10 books and in 20 minutes know which book will help me in my research and where the important page numbers are.” Is this possible in digital format? Not really. First, you don’t have a brows-able shelf, and second, you can’t quickly flip from back matter to text. It would take much more time in digital format. You would miss a great deal in the process. Finally, don’t forget the value of having a quiet, clean, and unencumbered space. Stay home and try to research and you’ll be interrupted by 10,000 thoughts. “I need to take the dogs out.” “I need to do laundry.” “I need to update my software.” “I forgot to clean the toilet.” These thoughts and chores will interrupt you at home. 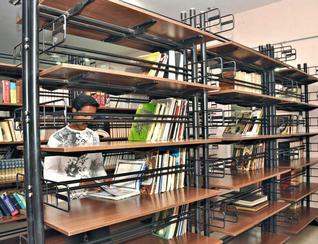 When you leave your living space for library space, you leave those cares and thoughts behind. You can focus on the task at hand. It may not be as “organic” to your life, but it will get the job done better and more efficiently. I’ve had the privilege of doing two (all too brief) sabbaticals at the Univ of Edinburgh in 2000 and 2009. 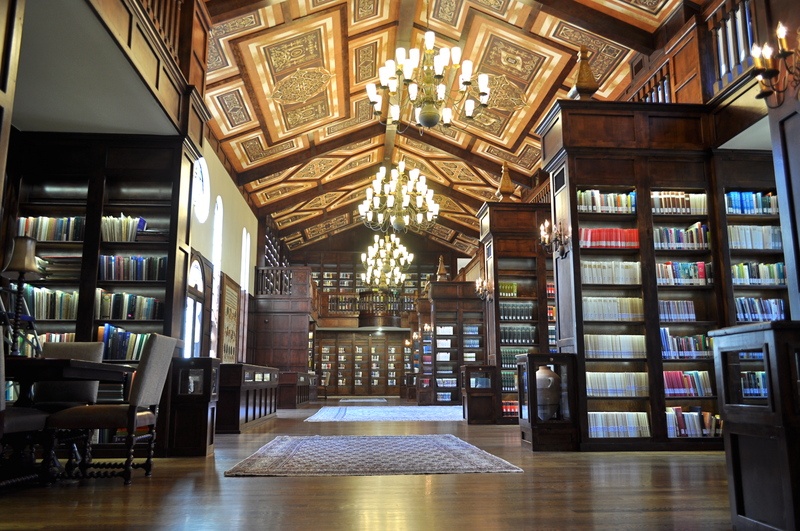 I was appointed visiting fellow at New College which meant among other things library privileges. In those short months I was able to accomplish more in the New College library the old fashioned way with books, journals, and copiers (OK, copiers aren’t really old fashioned) than would be possible using digital technology. Not long ago I taught a brief series at Christ the King Lutheran Church on the Didache, an early Christian manual on ethics, practices, leadership and eschatology. Most scholars date it to the end of the first or beginning of the second century AD. A Greek manuscript of it—dating to about 1073 AD—was discovered by accident in a library in Constantinople by Philotheos Bryennios in 1873 (Have you noticed how some of the best stuff is discovered by accident? The Dead Sea Scrolls. The Nag Hammadi library. Chocolate mixed with peanut butter.) The Didache was published about a decade later. Some early church leaders wanted to include it the New Testament but Eusebius (Ecclesiastical History 3.25.1-7) reckons it among the spurious documents. How are we/ Christians to live? What are our essential practices? Who is to lead us? How will all of this end? The Didache begins with the doctrine of the two ways, a Jewish way of instruction which goes back to Deuteronomy 30. There are two ways: the way of life and the way of death. The way of life (according to Deuteronomy) is to know what God says and observe it. Obedience leads to life, blessing and prosperity. Disobedience leads to destruction, “curse,” and adversity. Jesus adopts the same teaching in his parable of the wise and foolish men who built their houses on the rock and sand, respectively. Didache adopts this Jewish theme and makes it part of its instruction—probably to baptismal candidates. In fact, there is very little “Christian” about the Didache‘s first six chapters. It is not until you get to baptism and Eucharist that the true Christian identity of the document emerges. Some people see it as Jewish ethical instruction slightly Christianized. That is a fair characterization at least in the first six chapters. I like this little Christian document for many reasons. First, as a historian of early Christianity it is primary evidence for how Christ-followers are organizing their common life: what they believe, how they behave, how they conduct their gatherings, and how they deal with traveling and resident leaders. Second, the Greek of the Didache is easy enough that a second year Greek student can usually translate it with a dictionary in hand. There are a lot of unique words, especially among the lists of virtues and vices. Third, and this is related to the first, the Didache and other books of the Apostolic Fathers are some of the first commentators on the New Testament. They speak the Greek language. They share a common cultural situation with the later apostles and second to third generation of believers. So how they read the NT is probably closer than we who read it in a post-Reformation, post-Enlightenment, post-colonial, post- Holocaust world. In other words, the fathers have much to teach us if we will just spend some time with them. There are plenty of versions available, free-online. A classic translation was done by Kirsopp Lake in the Loeb Classical Series. He translated it in the early 1910s so it sounds at times like the King James Bible. 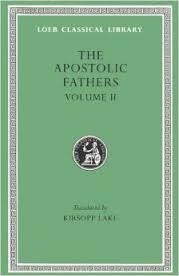 The version I use now is a translation of all the Apostolic Fathers by Michael Holmes published by the Society of Biblical Literature. Over time I hope to come back and comment further on this early Christian document. In the meantime, why not take some time, look it up and read it. It is brief. You can probably read through Didache in 15-20 minutes. Thanks to Bob Moore (pastor), Karin Liebster (co-pastor) and Matthias Henze (professor at Rice University) for the opportunity to teach through the text. I look forward to going back and teaching another of the Apostolic Fathers or coming to teach the Didache at a church near you! 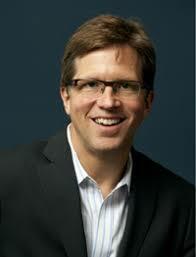 Mark Lanier is a trial lawyer and founder of the Lanier Law Firm. U. S. News and World Report’s Best Lawyers named him to its Best Lawyers in America list for nine consecutive years and as the 2013 Top Class Action Attorney in America. His courtroom work has been featured in The Wall Street Journal and The New York Times, and he is a frequent guest on CNBC and Fox Business News. He is the founder of the Lanier Theological Library in Houston, TX, and he teaches biblical literacy at Champion Forest Baptist Church. What Others are Saying about the Book . . .
Dr. Richard Bauckham, St. Andrews University.